Are you the type of person who hates dealing with conflict? If you are, each and every confrontation is something to be avoided at all costs, but while this might seem like the right option in the heat of the moment, it can actually have lasting damaging effects on you. Amongst the negative impacts that hiding away from conflict can have is that the resentment that builds up in you increases the amygdala activity in your brain, which puts you in a constant state of fight or flight. It can also lead to brain shrinkage and has been linked with depression, all of which is surely worse than facing up to necessary confrontations. So instead of letting issues fester, you need to get better at dealing with conflict when it arises, and here are some tips. You don’t need to immediately deal with major arguments, you can build up by practicing with smaller issues. Start asserting yourself more and setting boundaries for people and you will gradually get more confident in these situations. If you’re not the kind of person who deals well with confrontation, you may well find it hard to get your point across in arguments. You may even try to hint at your feelings and hope they will understand, but this only leads to more frustration and trouble, so instead, keep what you say clear and concise. Another potential weakness in the way you might be trying to deal with conflict when it arises is letting yourself get emotional. This can make it look like you are attacking the other person, so keep things factual and only make points that you can back up with evidence. 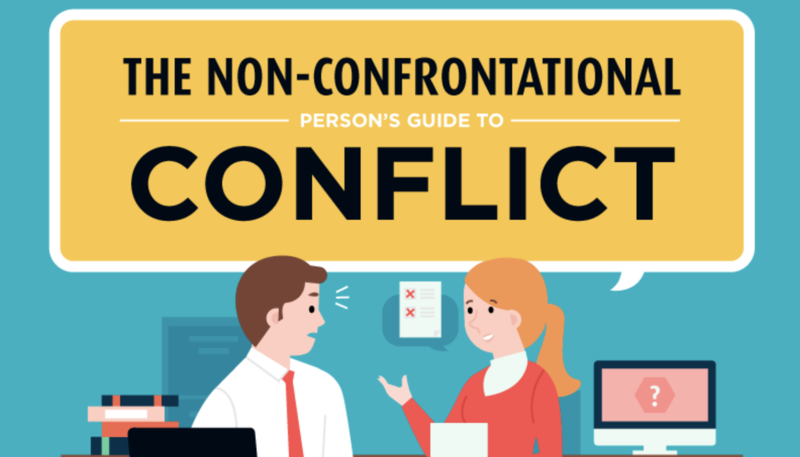 You can only get better at dealing with conflict by starting to practice actually dealing with it, and you can get more tips like these from this infographic from NetCredit.